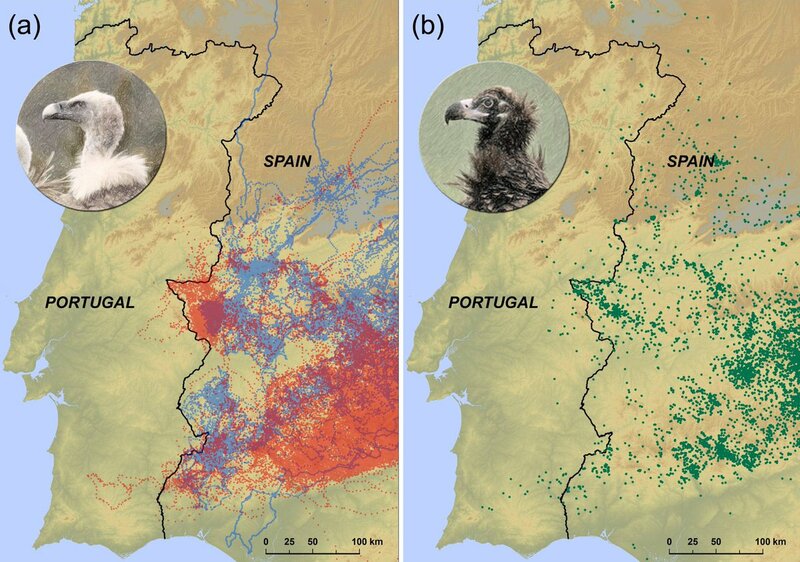 2/ Eneko Arrondo (@BIOEAF), an ecologist at the Doñana Biological Station (@ebdonana), in Spain, was monitoring the distribution of 60 tagged griffon vultures (Gyps fulvus) and 11 cinereous vultures (Aegypius monachus) for his PhD project when he noticed the sharp pattern. 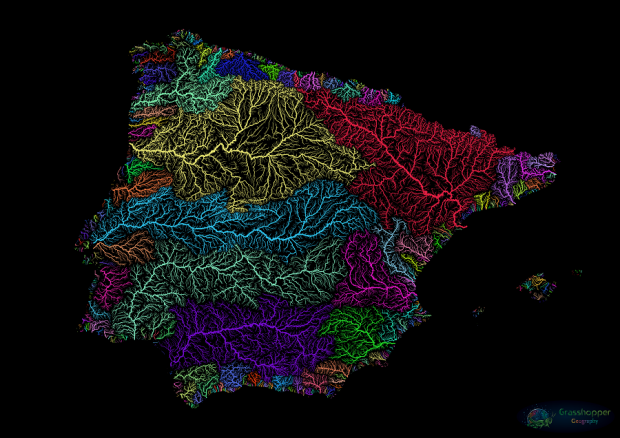 4/ The Portuguese-Spanish border follows river valleys and is not associated with abrupt changes in climate or land-use. What is different on either side, the team learned from Portuguese ornithologists, is the law. 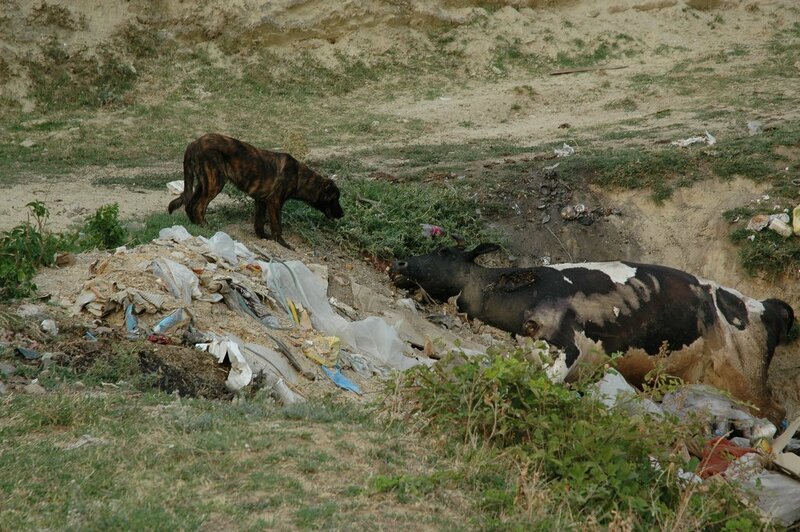 5/ Spanish farmers don’t collect dead cattle, but in Portugal, they must bury or burn all carcasses. This leaves no food for vultures, who have learned that the grass is always greener on the eastern side. 8/ Conservationists at the time made a strong case against the ban, which convinced European Union legislators to delegate the choice to member states. Some countries, like Spain, resumed cattle abandonment under special conditions. Portugal never changed its laws. 9/ Representatives of BirdLife International, a nature conservation partnership, in both countries (@SEO_BirdLife / @spea_birdlife ) argue wildlife will benefit from the integration of sanitary policies across European borders. 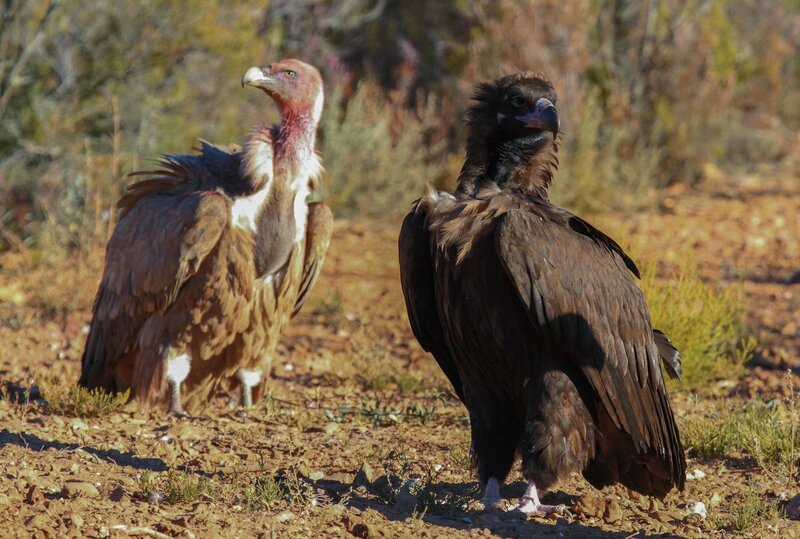 10/ It's not just vultures at stake: the collection, transportation and disposal of dead animals is costly and polluting. 11/ One study, published in Scientific Reports, calculated that taking these jobs from scavengers in Spain involved annual payments of around $50 million to insurance companies and the emission of 77,344 metric tons of equivalent carbon dioxide every year. 12/ Activists in Portugal are pushing for change. They ask for carrion abandonment permits for farmers, or at least for designated feeding stations where dead cattle may be allowed to rot. Until such measures are granted, an invisible ecological barrier hovers above the border. Bruno Martin on Twitter: "1/ A vulture can fly up to 400 kilometres each day in search of carrion. Little should it care whether this flight takes it from one country to another. 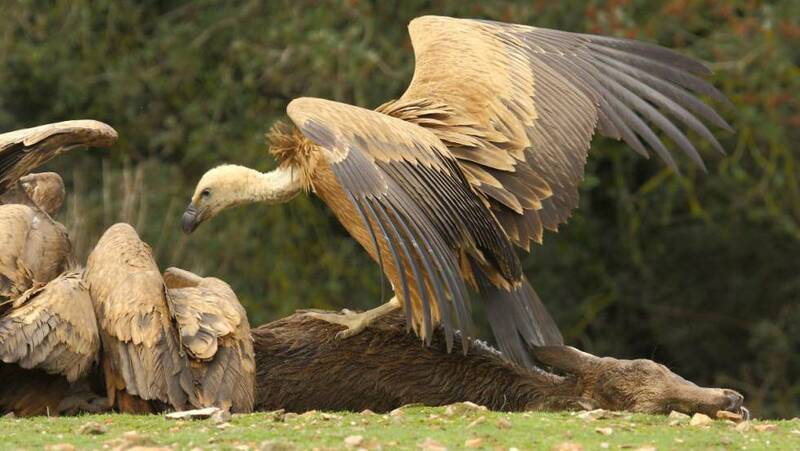 The vultures of Spain, however, skirt around the Portuguese border with uncanny accuracy.… https://t.co/CuJt1VbMh0"